Lansing, Mich — Michigan tax payers will have the chance to help prevent child abuse when filing their tax returns. 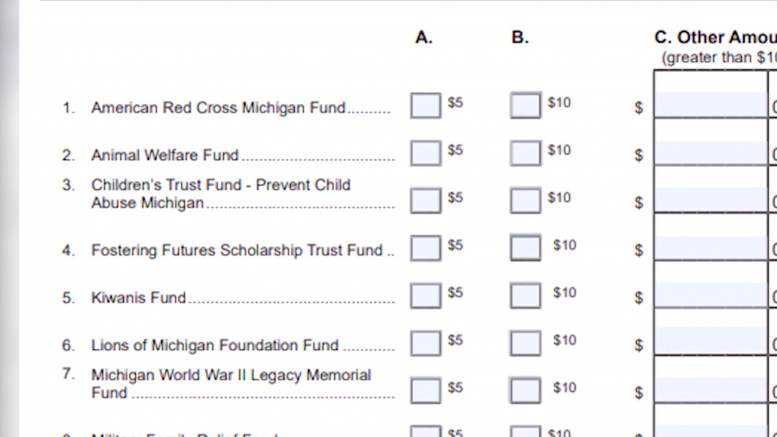 A check–off box on the Michigan income tax return form gives residents the option to donate five dollars, ten dollars or more to prevent child abuse. Money raised will support the children’s trust fund. The fund offers help to children and families to promote health and welfare by funding local programs to prevent abuse and neglect. Michael Foley, director of the program, says the generous donations of residents are appreciated. for more information, visit the children’s trust fund campaign page through michigan.gov.